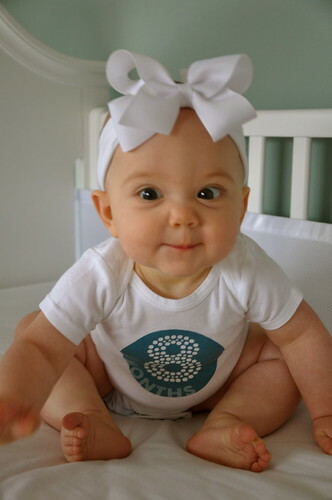 Eleanora proudly announces that she is 8 months old. Her favorite toys are spoons, straws, and grocery lists. She has two big bulges under her gums where her top two teeth will be pushing through soon. And she is adept at manhandling Lulu, her Bla-Bla doll. Hang in there, Lulu. She rolls, scoots, and rocks back and forth on all fours… meaning that crawling is right around the corner and we are all in big trouble. 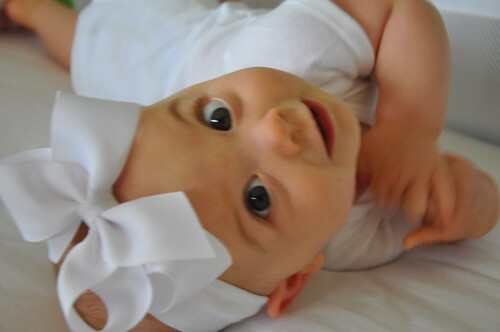 And she continues to be a super sweet, very happy baby. Hubba Bubba and I think we lucked out. 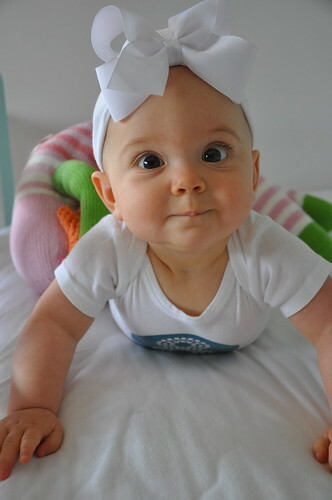 Okay…this baby is entirely too cute. And she is your twin. Love you!